Everest Provides Hermosa Beach Residents with the Best Gate Repair Service in Town! In order for your driveway gate to operate efficiently, each of these parts must work together in perfect unity allowing the gate to function flawlessly. If one of these is broken, Hermosa Beach gate repair companies like Everest can come out and inspect the piece until we detect the culprit and replace it. Your gate can break down for a number of reasons because it has so many working parts that require annual maintenance. Unfortunately, most people forget that their driveway gates require routine care. The last thing you need is to return home from cycling along the beach with your family only to discover your driveway gate is stuck half way open. Call our Hermosa Beach gate repair crew, and we will fix your gate in no time at an affordable price you will love., using only the highest quality parts and welding techniques. How can I Fix my Driveway Gate? If all of these check out and offer no explanation for the damage, call our skilled Hermosa Beach gate repair company. 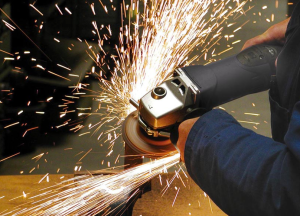 We will arrive to your home with lightening speed with a truck full of parts and tools to ensure we get the job done right without having to make return visits. What is the Best Hermosa Beach Gate Repair Company? We are family-owned, and our techs take great pride in knowing that our gate repairs keep families safe. Everest has the most advanced training in the industry, performing only top-quality work. We offer the lowest prices on gate repair. Our customers enjoy a luxury-style class of customer service. 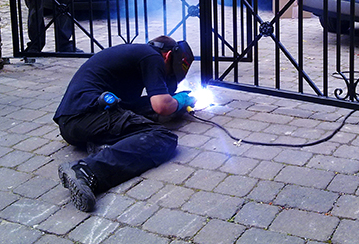 We perform all types of repairs, perform installations, and sell new gates, even custom-made ones. Whether you have a beautiful home on Beach Drive that needs fast gate repair, or you have a broken driveway gate at your place of business on Hermosa Ave, our friendly technicians will speed out to your property and repair the gate making it as good as new. our Hermosa Beach gate repair specialists form relationships with our clients because we love our city and we feel that taking the time to be there for people strengthens our amazing community. If you have a broken driveway gate, call Everest and let us make all the difference in restoring peace and security back to your home life. We can take your design, or work with you to draft up an amazing custom gate that will offer elegance and class to your property. Everest has been outfitting homes with the best quality Hermosa Beach custom gates for more than 10 years, and our quality is next to none. We can make sliding gates, swing gates, fences, pool gates, garden door gates, and anything in between. Do you need fast Hermosa Beach gate repair, or a new custom driveway gate to keep your home safe and secure? Call Everest today and learn why we are the best gate repair company in Hermosa Beach, and all of Los Angeles!